So, what is this work called? Do other people do what you do? 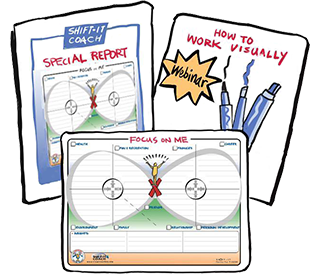 I get those questions a lot as I go about my business as a graphic coach, graphic facilitator and mapmaker – helping people do different kinds of thinking via different visual methods. 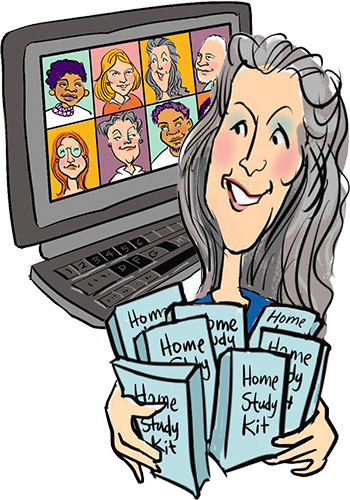 Yes, there are other people who do the work that I do (especially in graphic recording – about 75 worldwide who earn full-time livings), and a few in graphic facilitation (maybe 25? hard to say) …. and while the graphic coaching work that I do is especially unique, I bet there are a few other folks around the world who are also experimenting in this new genre (a handful?). Also, I think its pretty save to say, that there are tens of thousands of people who use the interactive graphic skills to some extent in their work … its not their prime focus and prime income generator, but it is something they use with skill, grace and effectiveness in the work that they do overall. Facilitators, consultants, architects, city and community planners, trainers and workshop leaders, HR and Organizational Development managers, teachers, info and technology system mappers, storyboards for film, tv, advertizing, etc. IFVP hosts an annual conference in the San Francisco Bay area in California. Hard for me to believe (time does fly), but the 10th Annual Conference is being held October 26-29, 2006 in Tahoe City. This is a rare opportunity to meet a bunch of us ‘interactive graphics’ types in person – we rarely get together as we are often solo practioners off working with our own with clients. I field quite a few calls from people around the globe interested in my profession – and I always direct them to this conference, especially if you are ‘newbie’ wanting to learn more about a career in this work. The IFVP Conference is a fantastic opportunity to listen to the presentations and speakers on related topics … and wonderful networking opportunities – its informal, fun, welcoming and just a little bit kooky (what do you expect when a bunch of cultural creatives get together!). This is still a small niche field, so to learn and be successful in it, its SO important to meet other practitioners – if you are leaning towards doing this work yourself, or have already been doing it but didn’t know others were – then I highly recommend going.